You give us the names of your songs up to 12 songs and we will produce your music CD! Simply fill out the form below and we will produce your Custom CD in no time! 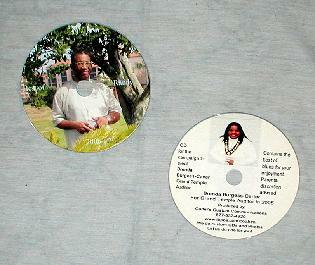 The cost of your custom CD starts at just $10.00. Additional CDs available for $5.00 each. Are you an entreprenuer or in need of a large quantity of CDs or DVDs? E-mail us today at services@carterscusco.com with your production request and we will send you a quote promptly! The is no number to the amount of CDs and DVDs we can produce for you!